At least it isn't $39.99. what a shame selling a free game, paying 20$ for a box and printing..
For my opinion i don't have any problem to buy it If JoshProd release it with last updates till 2017/18 and improved graphics and about why to buy this game when i can find it ,download it for free. 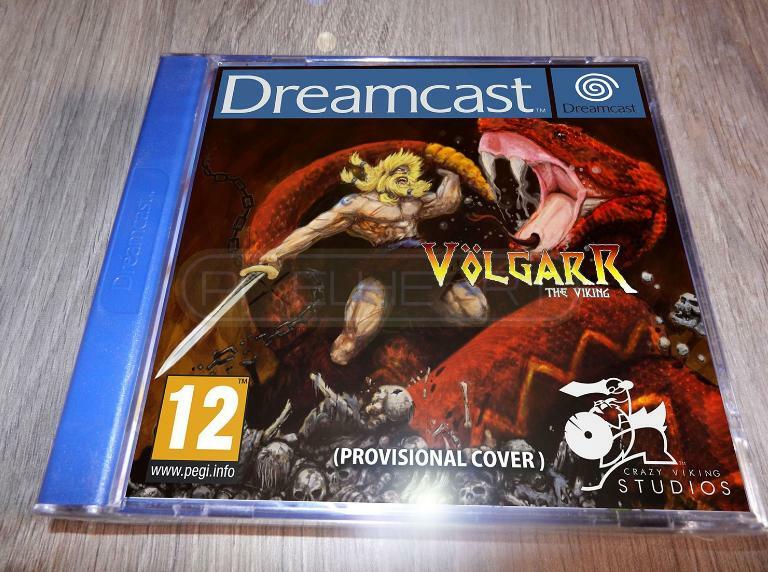 I believe JoshProd give you the opportunity to have the game complete in box and sell it to you like "official" product but before do that, they need to pay license fee to Crazy Viking Studios as like other games released for Dreamcast. Assuming the original devs Crazy Viking Studios also get a cut from this deal (which should be obvious but it's a crazy world we live in), the first few comments suddenly sound more like "How dare the devs want to make a bit of money off their own work!". Agreed, maybe 20 bucks is not bad for a official cover, instructions and pressed disc if the devs are getting a slice. Bro, Crazy Viking Studio gave explicit permission that ANYBODY could charge and make legit copies of the games becasue they were never going to do it, so long as they weren't profiting from it, and only charged for the materials. I was anticipating this since day one and surprised it has taken somebody so long. I don't know how true that is that they aren't making a profit, they would have to be to pay for their troubles. But they gave permission, and people want this. I see no problem with it. I got a GDEMU so my stuff is 100% digital now anyways. But people were literally BEGGING for this when the game came out. That is not a bad deal if you want the game. Either you buy it or not. Worth the time to make the artwork, materials, electricity, hardware to make it, time to make it Dreamcast friendly. 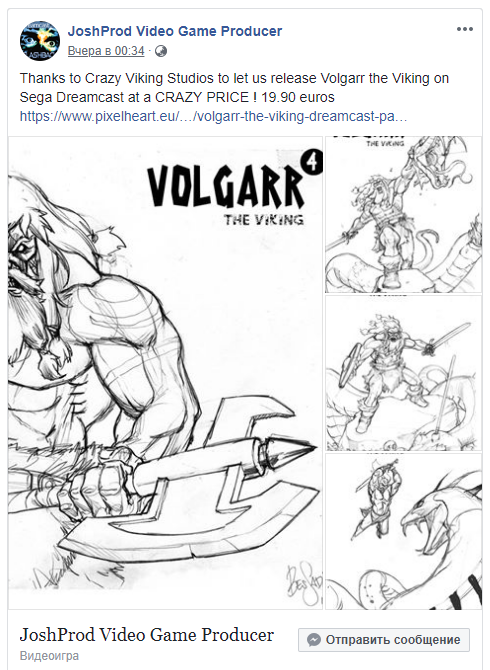 Ever since that one German board made their own limited pressed copies I have been eagerly trying to get my hands on a physical edition of Volgarr the Viking. So I'm glad Joshprod is releasing this one. The next 1vs1 for Saturn and Dreamcast : Verdict Guilty Clash.